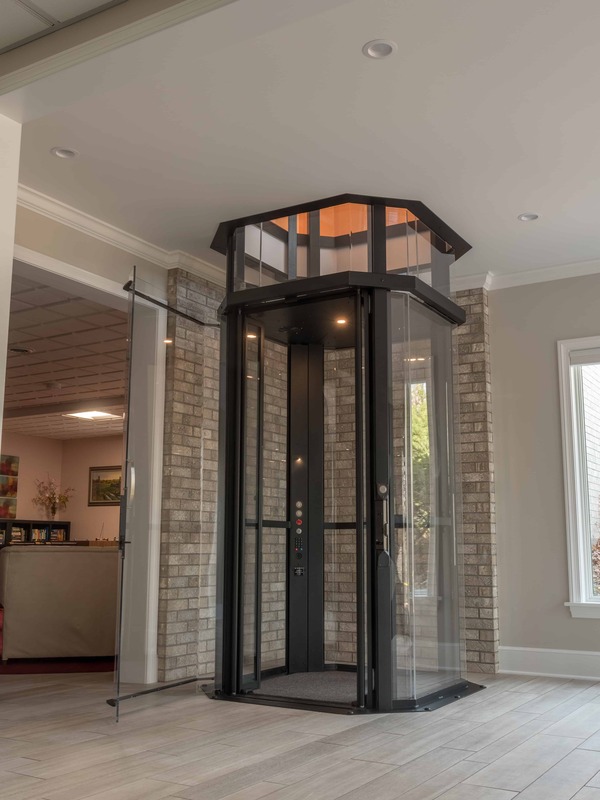 With a graceful sweeping hoistway, Vuelift Round adds beauty to the architecture of any residence. 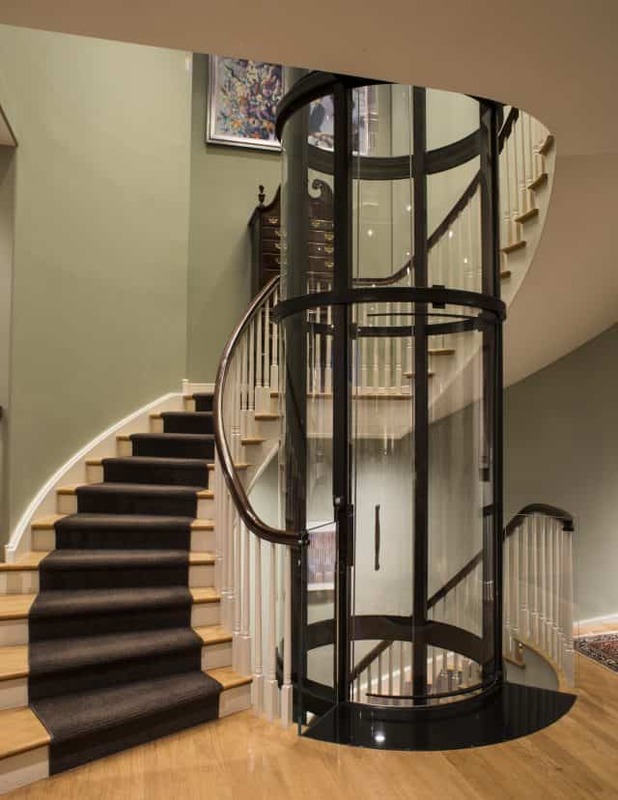 Place the cylindrical home elevator within a spiral staircase, or mirror its elegant curves in other design elements. 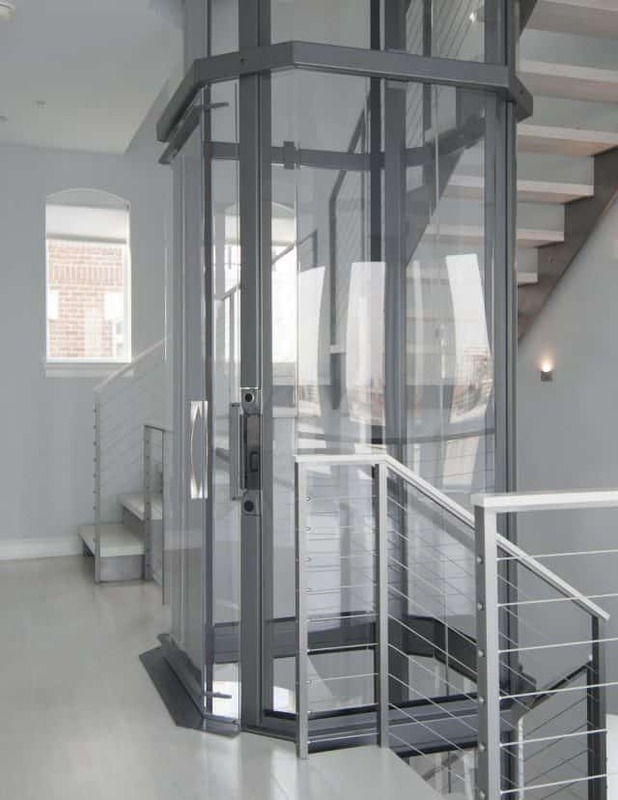 Strong, modern lines characterize the unique prism-shaped Vuelift Octagonal elevator cab and hoistway. 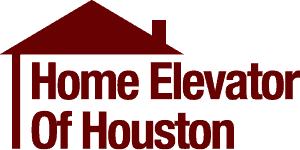 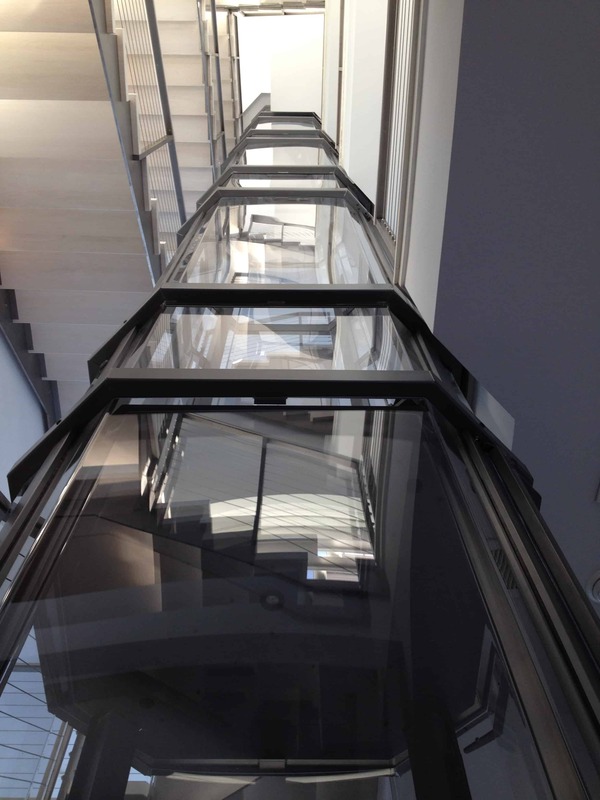 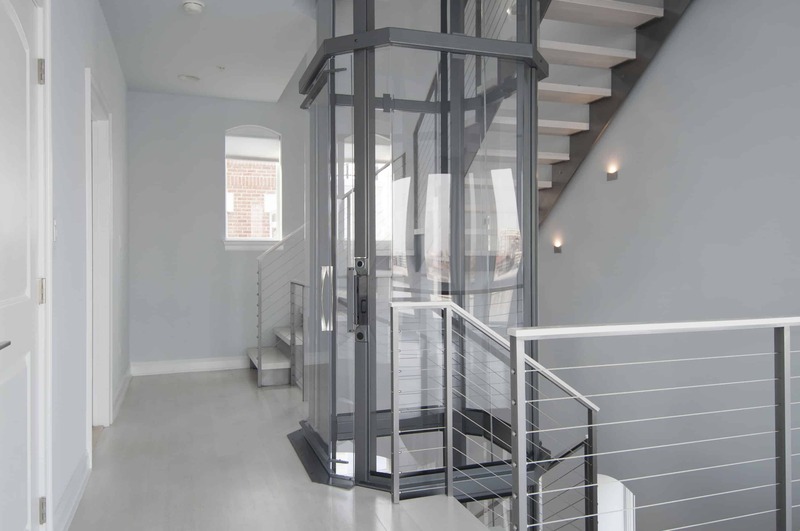 Maximize space with a minimal footprint that fits into stairwells or spaces where a traditional home elevator may not. 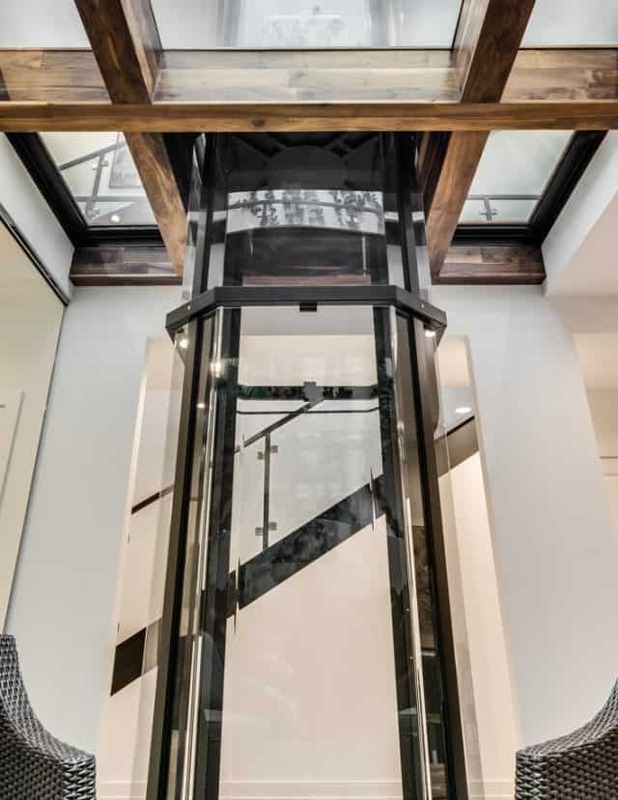 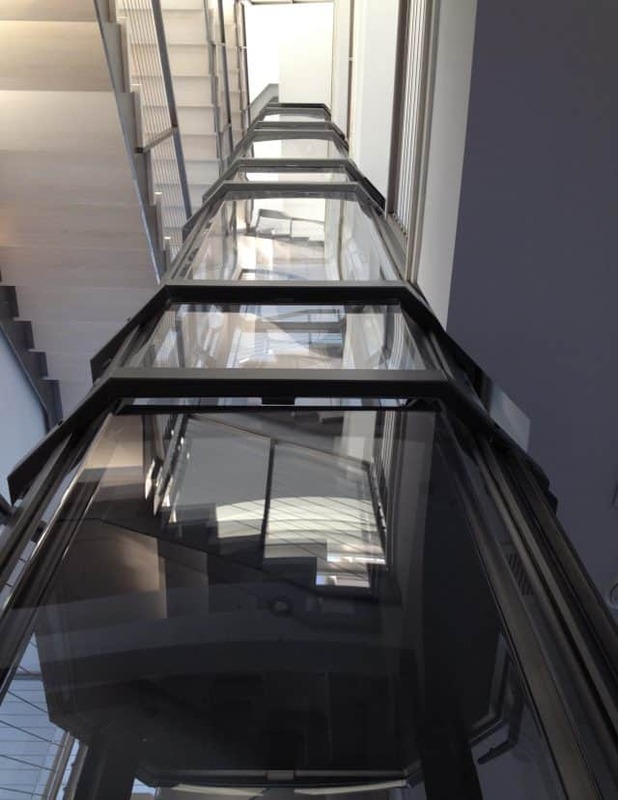 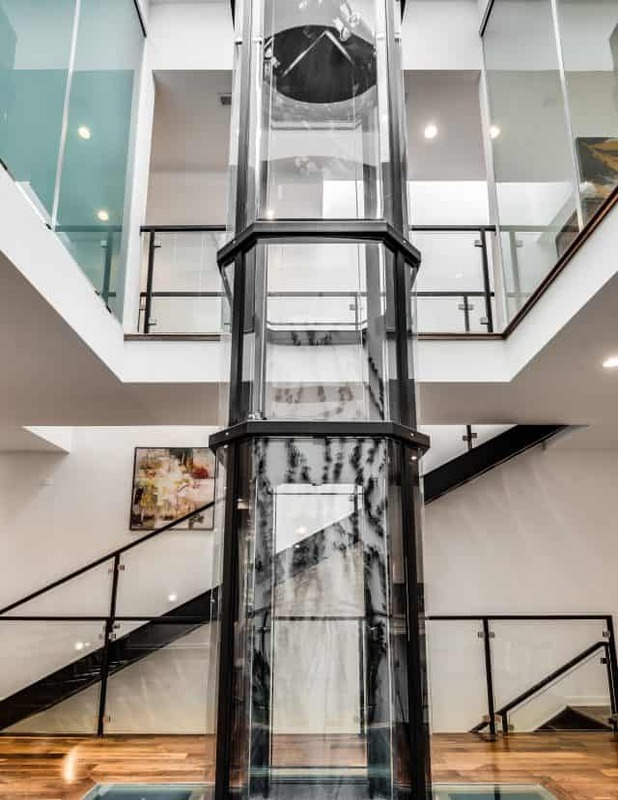 A stand-alone solution that comes complete with an integrated hoistway, Vuelift ascends elegantly within existing architecture. 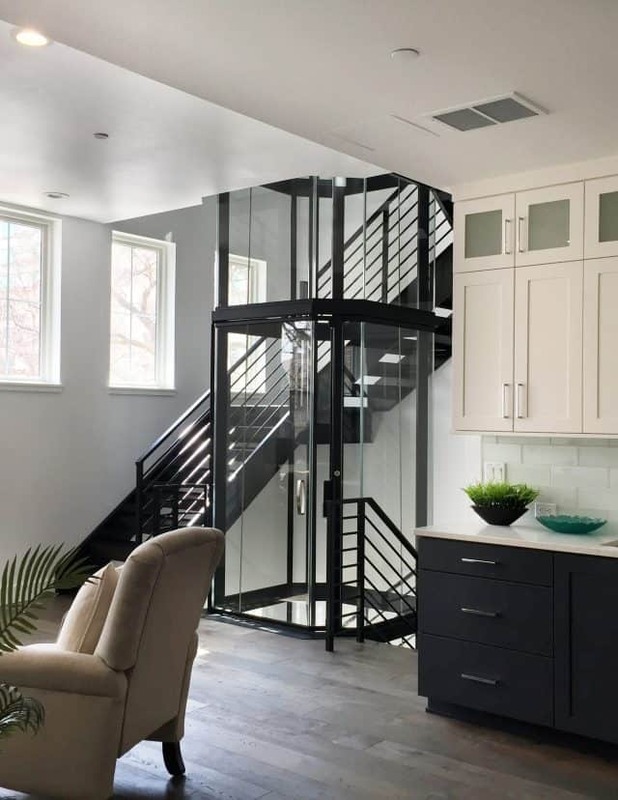 No walls to build, no construction to manage, no hassle. 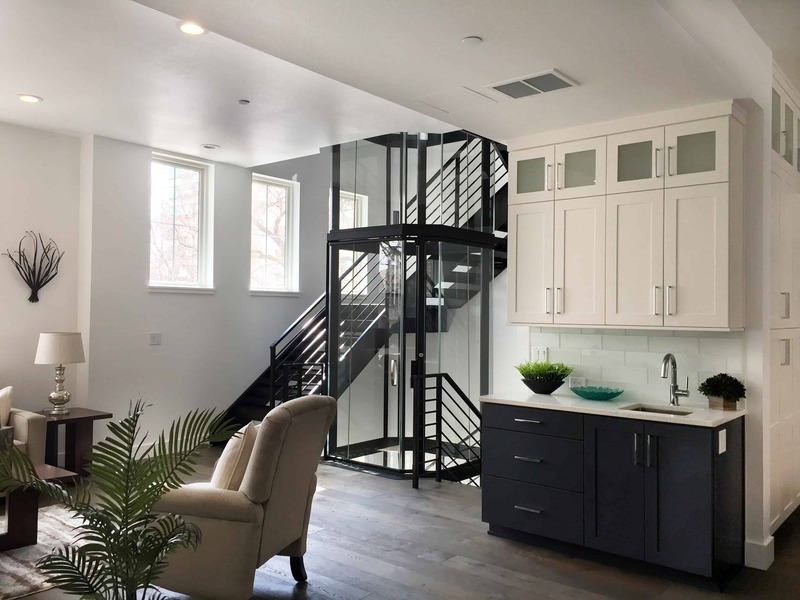 Building a new residence or seasonal home? 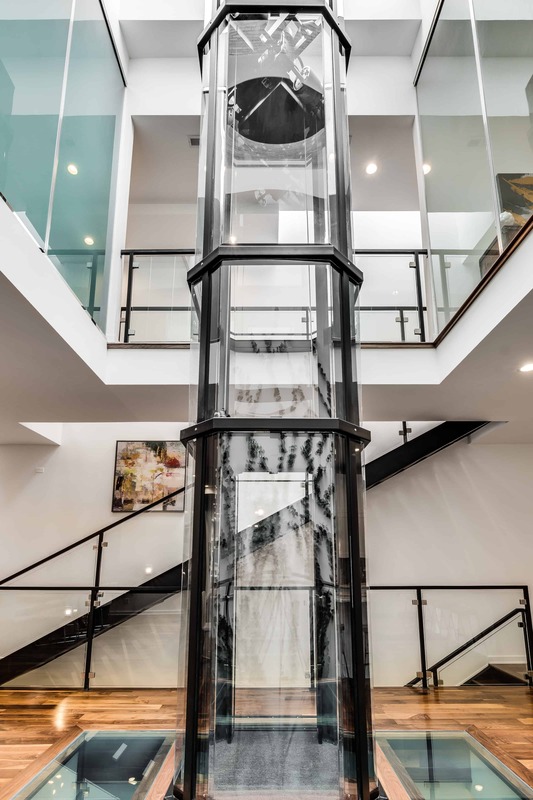 Let Vuelift inspire the design as the focal point of your new home – a real conversation starter, Vuelift is built for the spotlight. 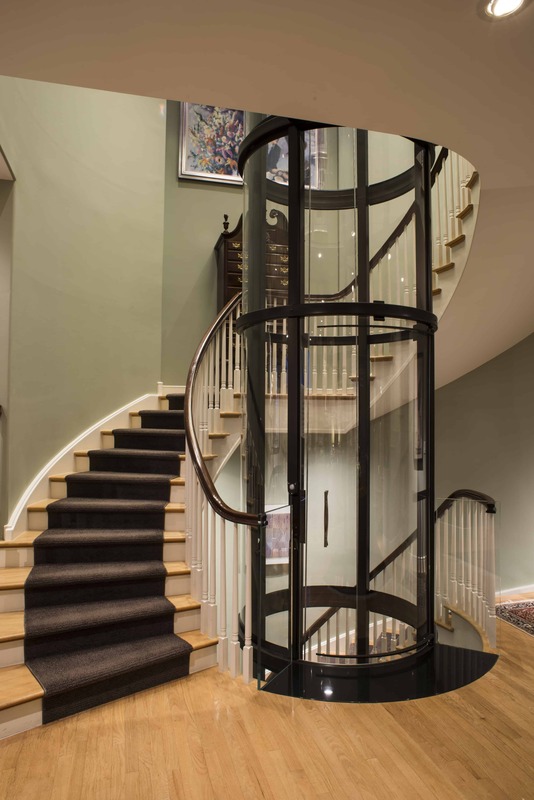 You don’t have to compromise style to achieve peace of mind. 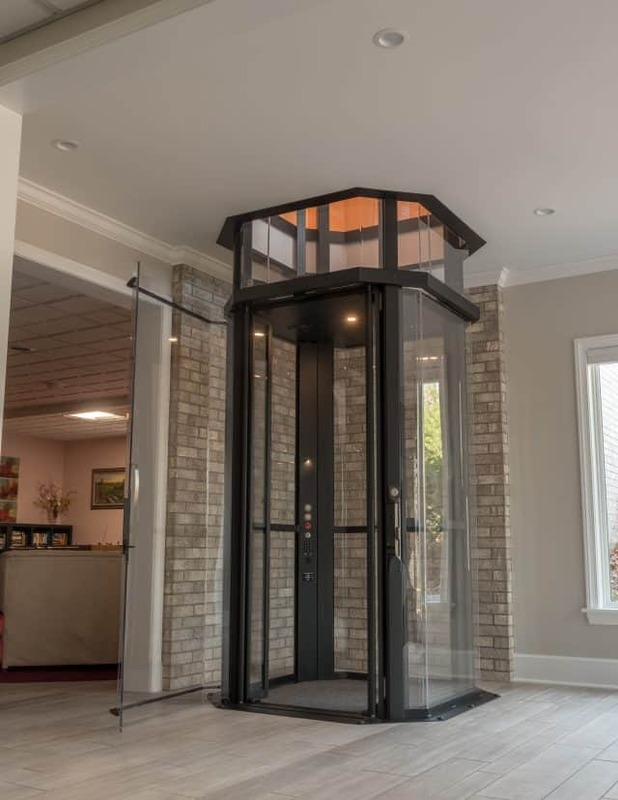 With a Vuelift home elevator, your investment in luxury and convenience for today also ensures mobility and independence for the future. 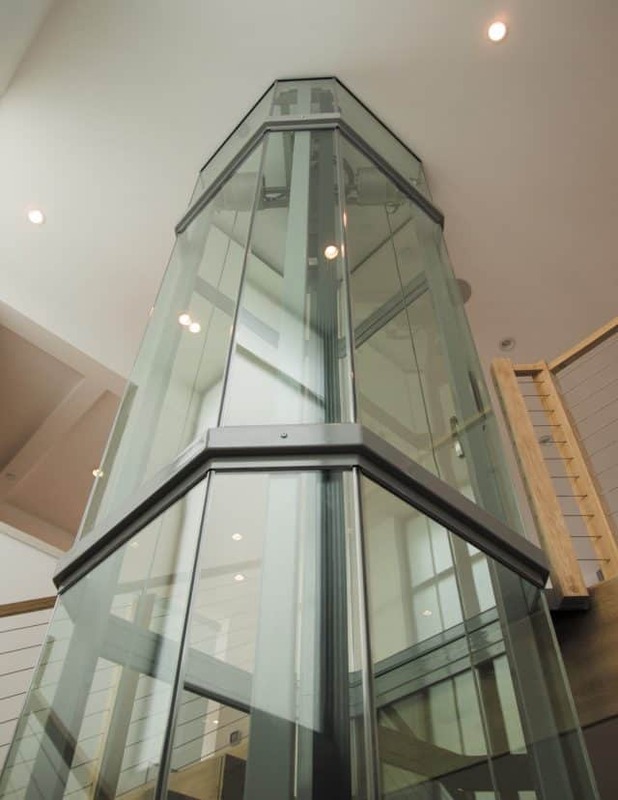 Whether placed in the center of your living space, or adjacent to windows, Vuelift won’t spoil your view. 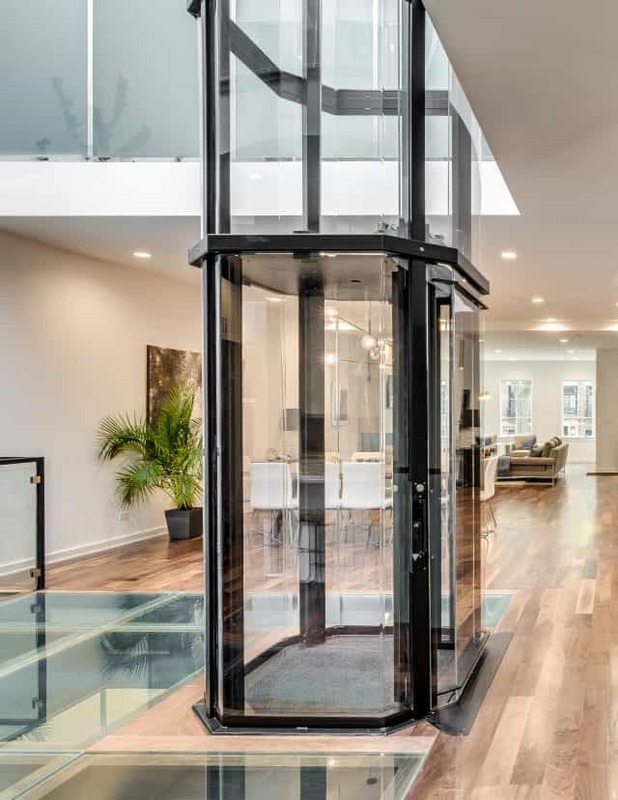 From great rooms to the great outdoors, a Vuelift inside your home still means you can enjoy the landscape to its fullest. 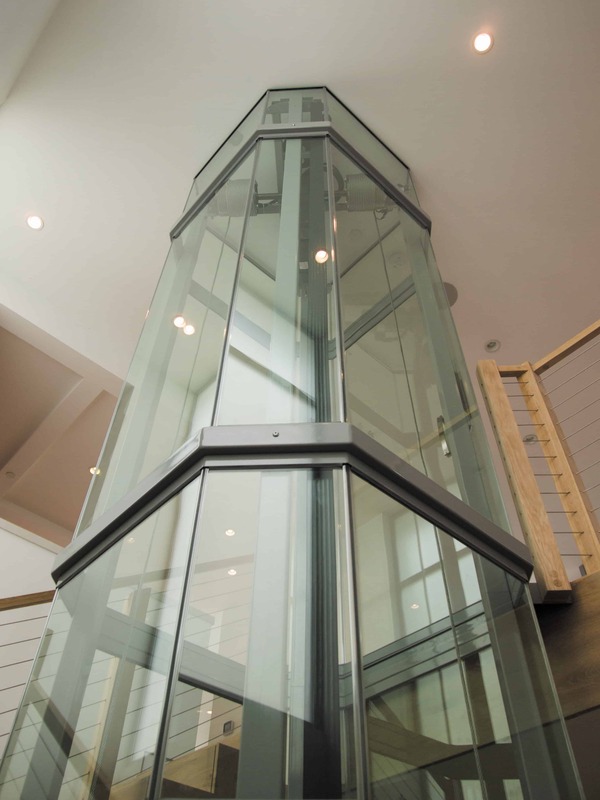 Every element of your Vuelift is engineered with precision and assembled with pride to exacting standards. 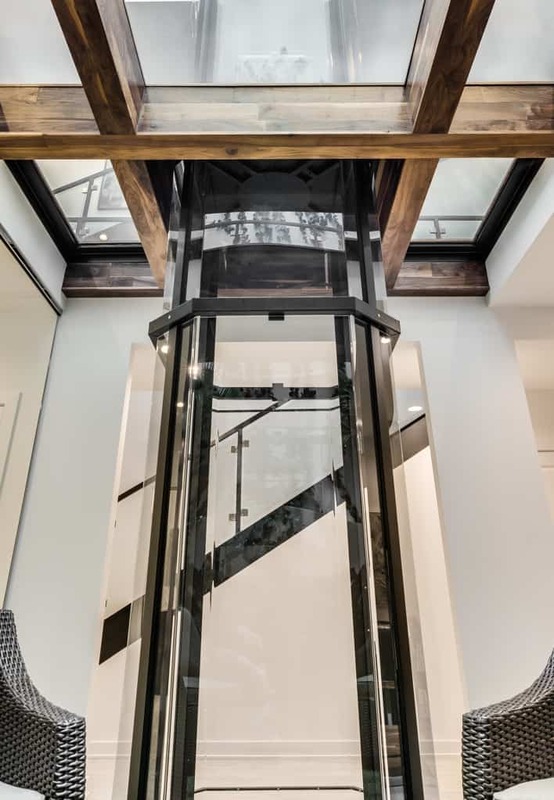 Trust Vuelift to be worthy of the dream home you create.